Lily James and Amanda Seyfried, how can we resist you? (SPOT.ph) Not everyone was excited when it was announced that 2008’s surprise-hit movie-musical Mamma Mia! was getting a sequel. Many wondered if there were any more hits from Swedish pop-group ABBA that they could feature. (The answer is yes, there are.) Others were confused as to how they’d be able to continue the story given that the original had such a happy ending. 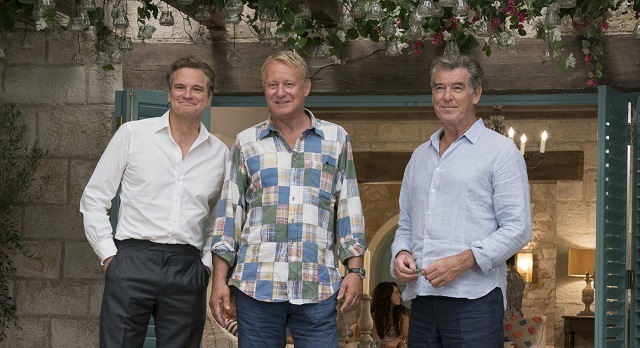 But the U.S. $144 million that the original movie raked in doesn’t lie—even if fans weren’t particularly fond of all the performances (it's a good thing Pierce Brosnan is handsome), they still love the movie enough for it to be a go-to for feel-good vibes. That’s the reason why (the cleverly named) Mamma Mia! Here We Go Again makes perfect sense. You just can't say no to a movie that'll have you singing and dancing to songs you otherwise would only notice during karaoke night. The apprehensions about this sequel’s premise—both song-wise and plot-wise—may seem difficult to overcome at first, but it’s still got that carefree, easygoing, light-watch feel that worked the first time around. Director and co-writer Ol Parker’s Mamma Mia! 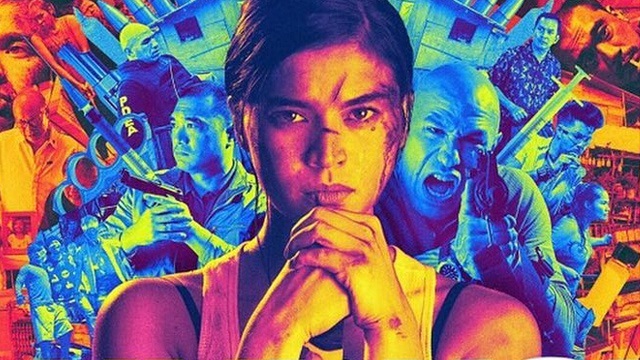 Here We Go Again serves as both a sequel and a prequel. The movie transitions between a young Donna (charmingly played by Lily James) and a present-day Sophie (Amanda Seyfried). Donna is fresh out of college, itching to travel the world while meeting cute boys—a young Harry (Hugh Skinner), Bill (Josh Dylan), and Sam (Jeremy Irvine)—along the way. Sophie, on the other hand, is busy planning the grand reopening of Hotel Bella Donna, named after her mother (Meryl Streep) who died a year prior. (Yes, Donna died.) The movie weaves Donna and Sophie's story together as mother and daughter, while also explaining the mystery and backstory about why Sophie has three dads. It’s fun to see what everyone’s been up to since the first movie’s release a decade ago. Sophie has grown up from being the naive young girl and has taken on managing her own business. Her partner Sky (Dominic Cooper) has been studying the ins and outs of the hotel industry (presumably to help out Bella Donna) in New York. There’s still that sentimental feeling that comes from the characters genuinely supporting each other no matter what, whether in their young or old versions. And it’s not difficult to imagine the younger characters growing up to become their older versions, either. James’ portrayal of a free-spirited, fresh college graduate traveling around the world might just be the new poster girl for millennials—in a good way. She’s almost enviable but you’ll also see why everyone she meets falls in love with her. 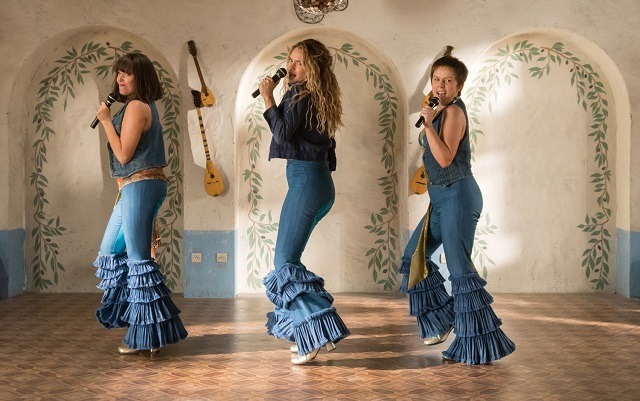 It’s a lot of pressure stepping into Streep’s golden-heeled boots, but James does well carrying both the role of girl-group lead singer Donna and the tunes that come with it. Despite James’ great performance, it’s hard not to notice the difference between the songs from the original and the sequel in terms of how famous they are. Mamma Mia! is basically an “ABBA’s Best Hits” album in movie form, what with “Gimme Gimme! Gimme!,” “Take a Chance on Me,” and “Super Trouper” among others. This second one is sort of an afterthought Volume II with all the not-so-best-selling-but-still-great tunes, like “When I Kissed the Teacher,” “Andante, Andante,” and the most famous one probably being “Fernando”—which was performed by none other than Cher. Of course, “Dancing Queen” still gets a much-deserved and well-performed reprise and "I Have a Dream" surprisingly fits well into a house makeover sequence. What the songs lack in popularity, though, they make up for in showtune-friendliness. You can easily imagine the songs being performed on stage in front of an applauding audience. The same could be said about the production value and choreography, which both make the movie feel very much like a live musical that was filmed then put on the big screen. 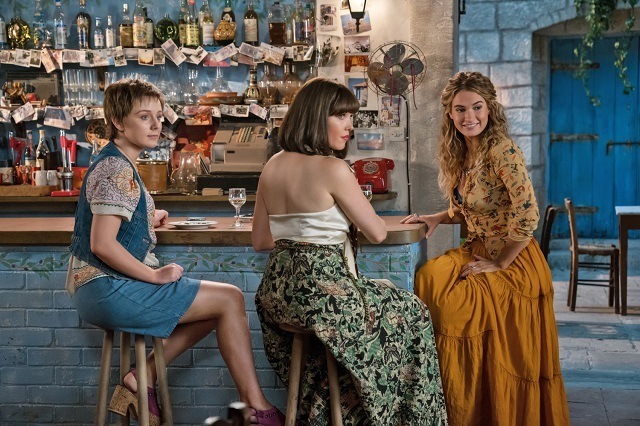 The set pieces and dance moves can cover up for the songs, but they don’t do much for the story—which doesn't have a lot going for it aside from being an obvious parallel of Donna and Sophie's lives. There are parts that feel like they should’ve been delivered more dramatically, like Sophie’s baby reveal, which was already shown in the trailer and quickly dealt with within five minutes near the end of the movie. The parts that were given importance, don’t make as much of an impact as they should—like young Donna and Sam saving a horse from a dilapidated farmhouse or Donna's mom and Sophie's distant grandma Ruby (Cher) arriving on the island. It also doesn’t help that some plot points of the sequel slightly retcons storylines from the original. There’s barely any mention of the flower-power movement (though you could say it was implied by their boho outfits and accessories) that they lovingly talk about in the first movie. And if you’re looking for any plausible explanation as to why Donna died, you won’t find it here (though Streep eventually does make an appearance). All in all, the movie makes for an entertaining watch you won't mind sitting through. You might even find yourself tapping along to the songs even if you're not as familiar with them. But when the last note is finally sung at the perfectly choreographed final performance, Mamma Mia! Here We Go Again still gives audiences the kitschy-but-not-campy, light-hearted rom-com they all came to see. They might just exit the cinema with a new set of tunes stuck in their heads—and maybe a rediscovered love for Cher. Mamma Mia: Here We Go Again is now out in theaters. 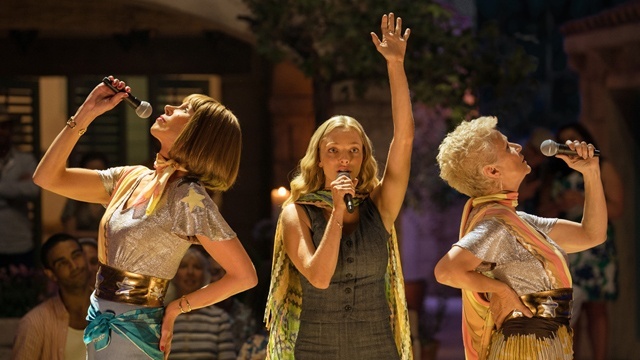 Mamma Mia: Here We Go Again Movie Review Mamma Mia! 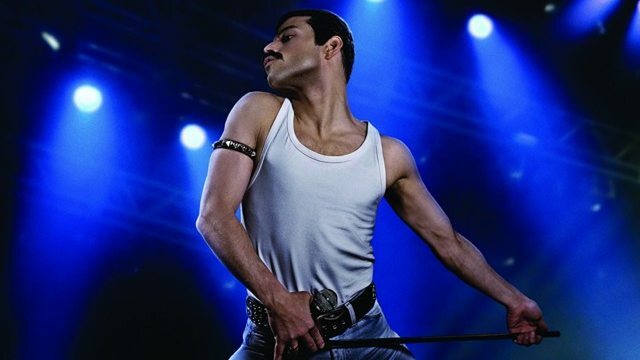 WATCH: Is This the Real Life or Is This Bohemian Rhapsody's Latest Trailer?